Avoid CT of the head in asymptomatic adult patients in the emergency department with syncope, insignificant trauma and a normal neurological evaluation. Syncope (passing out or fainting) or near syncope (lightheadedness or almost passing out) is a common reason for visiting an emergency department and most episodes are not serious. Many tests may be ordered to identify the cause of such episodes. However, diagnostic tests for syncope should not be routinely ordered, and the decision to order any tests should be guided by information obtained from the patient’s history or physical examination. CT scans of the brain are frequently ordered for this problem to look for bleeding or strokes, but published research has confirmed that abnormalities are rarely found. CT scans are expensive, and may unnecessarily expose patients to radiation. If a head injury is associated with a syncopal episode (fainting spell), then a CT scan of the brain may be indicated. In addition, if there were symptoms of a stroke (i.e., headache, garbled speech, weakness in one arm or leg, trouble walking or confusion) before or after a syncopal episode, a CT scan may be indicated. However, in the absence of head injury or signs of a stroke, a CT scan of the brain should not be routinely ordered. 1–5: The American College of Emergency Physicians (ACEP) developed five Choosing Wisely® recommendations through a multi-step process that included input from ACEP members, an expert panel of emergency physicians and the ACEP Board of Directors. In 2012, ACEP appointed a task force to address cost effective emergency care. The Cost Effective Care Task Force conducted a survey that was open to all ACEP members asking for strategies to reduce cost and improve value in emergency medicine. The task force received over 200 individual suggestions, which were grouped into a set of strategies. A technical expert panel, including representatives from all aspects of emergency medicine practice, reviewed and prioritized the recommendations using a modified Delphi technique. The panel prioritized the strategies using multiple rounds of voting based on contribution to cost reduction, benefit to patients and actionability by emergency physicians. A literature review including data on cost was assembled for the highest-rated strategies. Strategies were further refined and a final list of strategies that received majority support of the panelists was created. Five of these were ultimately selected by the Board of Directors to be included in Choosing Wisely®. 6–10: The entire ACEP membership (30,000+) was surveyed and given an opportunity to provide input on what in their view would be cost effective and improve the quality of patient care. A Delphi panel of emergency physicians was convened and the list was winnowed using the Delphi process to the top twelve. To be included in the top twelve, there must be research to demonstrate cost effectiveness and improvement of patient care if implemented with reason, caution and explanation to the patient. 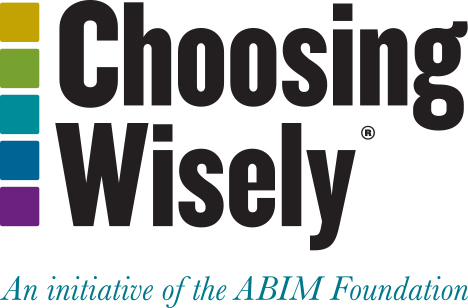 Also of importance was the consideration that the recommendations would be or are also in concert with some of the other specialties participating in the Choosing Wisely® campaign. ACEP’s disclosure and conflict of interest policy can be found at www.acep.org. Gallagher EJ. Hospitalization for fainting: high stakes, low yield. Ann Emerg Med. 1997 Apr;29(4):540-2. Pires LA, Ganji JR, Jarandila R, Steele R. Diagnostic patterns and temporal trends in the evaluation of adult patients hospitalized with syncope. Arch Intern Med. 2001Aug 13-27;161:1889-95. Giglio P, Bednarczyk EM, Weiss K, Bakshi R. Syncope and head CT scans in the emergency department. Emerg Radiol. 2005 Dec;12(1-2):44-6. Shukla GJ. Cardiology patient page. Syncope. Circulation. 2006Apr 25;113(16):e715-7. Grossman SA, Fischer C, Bar JL, Lipsitz LA, Mottley L, Sands K, Thompson S, Zimetbaum P, Shapiro NI. The yield of head CT in syncope: a pilot study. Intern Emerg Med. 2007 Mar;2(1):46-9. Mendu ML, McAvay G, Lampert R, Stoehr J, Tinetti ME. Yield of diagnostic tests in evaluating syncopal episodes in older patients. Arch Intern Med. 2009 Jul 27;169(14):1299-305.